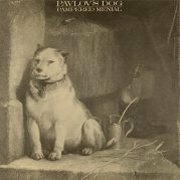 Pavlov's Dog (originally called Pavlov's Dog and the Condition Reflex Soul Revue and Concert Choir, apparently) were one of America's chief entrants in the 'progressive pop' stakes, along with Ambrosia, sticking mainly to the short song format, but with noticeable progressive tendencies. Their debut, Pampered Menial, was produced by Blue Öyster Cult movers and shakers Murray Krugman and Sandy Pearlman, but sounds nothing like the BÖC boys. Their unwieldy seven-piece lineup only managed to hang together for this one album, but a violinist and flute/Mellotron player gave them an edge missing in many of their contemporaries, the rest of the band consisting of a more standard vocals/two guitars/bass/keys/drums setup. By the following year's At the Sound of the Bell (ho ho), the drummer and violinist had gone, with Bill Bruford, of all people, guesting on drums, plus a guest violinist. The material is less memorable, too, although still several stages above mainstream slop. 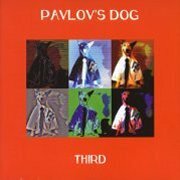 I'm sure I read somewhere that Pavlov's had two Mellotrons by this point, with regular keys man David Hamilton playing the other one, although he doesn't get a specific credit. Anyway, the first sound on the album is the 'Tron choirs at the beginning of She Came Shining, but it has to be said that the 'Tron use is right down overall, quite possibly because of the use of real strings on a couple of tracks. Valkerie tries to make up for the rest of the side by going completely bonkers on strings and flutes, but the only other obvious use is the upfront strings on Did You See Him Cry, along with what sounds like an early polysynth. 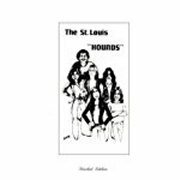 After the defection of some more members, the remains of the band recorded a third album, which received a bootleg release as St. Louis Hounds in '77 (without the band's name on the sleeve), although it didn't become easily available until the '90s, as Third. The material's actually more memorable than on its predecessor, although it's also slightly more mainstream, with tracks like Trafalger (nice spelling!) and Suicide sounding familiar on replaying. 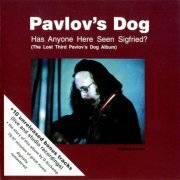 To heavily confuse the issue, this has been reissued, vastly expanded, as Has Anyone Here Seen Siegfried? (named in honour of violinist Siegfried Carver), in 2007, resequenced, although the first ten tracks correspond to the 'original' album, such as it is. The extras are mostly live from '75 (closer I Wait For You is a David Surkamp piano and vocal demo), including three previously unreleased tracks, none in especially great sound quality, with some rather sudden endings, but since when did that matter when it comes to rare performances? Mellotronically speaking, the original album has four relevant tracks, with strings on Only You, flutes and strings on It's All For You, strings and choir on Suicide and the best of the lot, the string part on the lush, instrumental While You Were Out. As for the live bonuses, there are strings and flutes on Song Dance and Of Once And Future Kings, strings on A Look In Your Eyes and Julia, choir on She Came Shining (plus synth strings), magnificent strings opening the sole selection here from At the Sound of the Bell, Did You See Him Cry, plus choirs and finally, pleasingly upfront strings on Theme From Subway Sue. As you can see, I've retained the entry for St. Louis Hounds/Third, although Siegfried can now be taken as the definitive version of the album. There's a strange story behind 2014's The Pekin Tapes, as with many such archive releases. 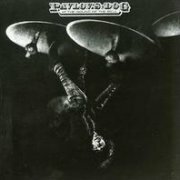 Although Pampered Menial dates from 1975, unbeknownst to almost everyone, the band recorded a full album's-worth of material a whole two years earlier (in Pekin, Illinois), getting themselves signed in the process. The tapes were thought long-lost, but a (non-master) copy turned up recently and has been restored to somewhere near how it would have originally sounded. And...? Magnificent, frankly; most of the previously-unheard material is excellent, notably the gentle It's All For You, the Propulsive Dreams, the epic Clipper Ship and Preludin & Fellacio in E Minor, the full eight-minute version of the official album's cruelly truncated Preludin. This is the sound of a new band flexing their musical muscles, trying on styles for size and standing or falling by the results. As if a whole unheard album wasn't enough, the band's very first recordings from March '73 are tacked on the end; not essential, but worth hearing, at least for completists. Mellotron? Oh yes... It's by no means present on every track, although not only are the parts on the tracks re-recorded later present and correct (nicely upfront strings on Subway Sue, possibly as many as two string chords on Natchez Trace and strings on Song Dance and Fast Gun), but also chordal flutes and strings on It's All For You and strings on Clipper Ship and Preludin & Fellacio in E Minor, although the early demos presumably date from before the band's Mellotronic purchase. 2015's Of Once & Future Kings... Live is an official upgrade of a bootleg that's been doing the rounds for a while, originally reviewed below. Although the packaging gives little away, it's a radio broadcast for WABX-FM from the Ford Auditorium, Detroit on 14th May 1976, the set slanted towards their forthcoming second release; bafflingly, She Came Shining is described as 'the title track of the new record'. Original title, dropped on release? The sound quality, never great, fluctuates, but with source material this good, that's a minor issue for all but audiophiles. Seven tracks from their second album, as against five from the first, the new material working better in its live setting than it ever did on record, highlights including Theme From Subway Sue, Did You See Him Cry and Of Once And Future Kings. Rayburn gets some Mellotron in on most tracks, with string parts on pretty much every highlighted track above (especially upfront on Did You See Him Cry), plus occasional choirs, not to mention flutes on Of Once And Future Kings, quite distinct from the real one on the same track. So; Pampered Menial's the best of the bunch, both musically and Mellotronically, but if you like that, get the other two as well. 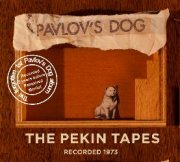 The Pekin Tapes is, in some ways, a curio, but also contains a lot of very fine music, although it's probably not your best starting place. There was a fourth album released in 1990 called Lost in America, but it has little in common with their earlier releases and, of course, has no Mellotron. 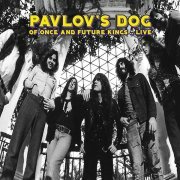 There's a version of the band still in existence called Pavlov's Dog 2000, who released End of the World in 1995 and I played on the same bill as a Surkamp-led Pavlov's in 2005, but the Mellotrons are long gone. p.s. I'm sorry to report that not one, but two original members of the band have died recently, fiddle virtuoso Siegfried Carver in 2009 and their Mellotron god, Doug Rayburn, in 2012. R.I.P.